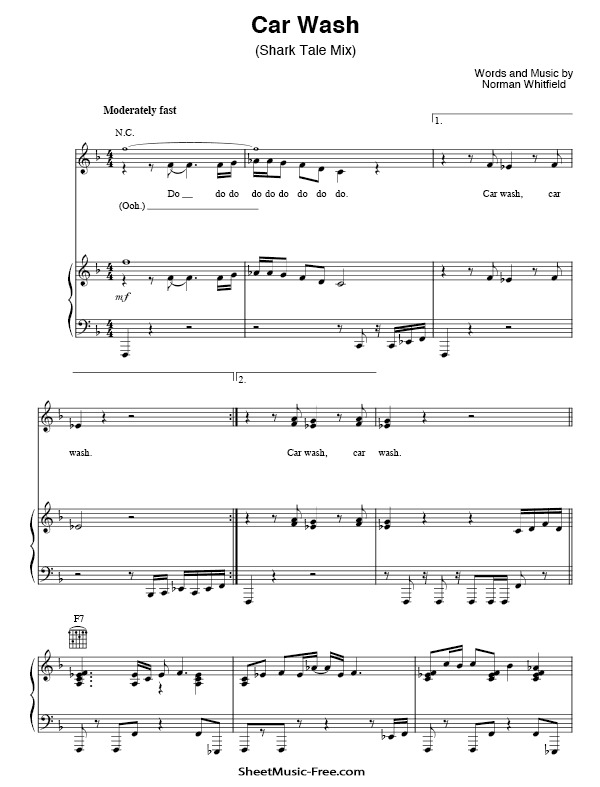 “Car Wash Sheet Music” by Christina Aguilera, from Shark Tale” Car Wash Sheet Music” for Piano / Vocal , Original key: F Major, number of pages sheet music PDF: 12, Video and Lyrics song Car Wash Sheet Music. “Car Wash’” The song was later covered in 2004 by Christina Aguilera and Missy Elliott, who released their version as the single for the Shark Tale soundtrack. Album:Car Wash: Original Motion Picture Soundtrack / Shark Tale soundtrack. Car Wash Sheet Music Christina Aguilera.